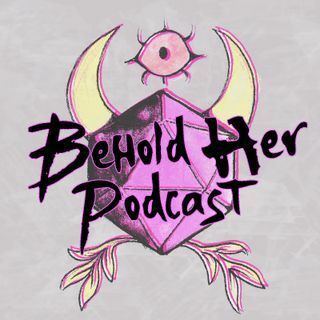 In Episode 4 of Behold Her, host and producer Lysa Chen talks to women and nonbinary individuals who manage and moderate tabletop RPG communities. Guests include Darcy Ross, community relations coordinator of Monte Cook Games, Brenna Noonan, brand manager of Starling Games and PolyHero Dice, and a panel of moderators of the Dungeons and Dragons 5th Edition Facebook group (Cait Bridges, Mimsy Dorsey, June Yin Gan, Paige Leitman, Anne Thornton). The episode ends with an audio essay by Petrina Ho ... See More about how she builds a welcoming gaming community in Singapore.